Autumn makeup is my favourite. Warm toned eyes that remind us of tree leaves with all the sunset tones or a deep red or berry lip scream autumn and that is what I tend to go for on a cold autumn day. Sometimes, the warm eyeshadows drag throughout the year and maybe that is why most of my palettes have those sort of shades. Matte or shimmer, most of them are gold and orange toned eye shadows that I think that compliment my brown eyes, making them pop. So I thought I would share with you the three eyeshadow palettes that I always tend to go for at this time of year. During the Autumn/Winter I tend to prefer a full on matte face and maybe for that same reason I always lean for shimmery eyeshadows for a bit of sparkle and to add something to the look. 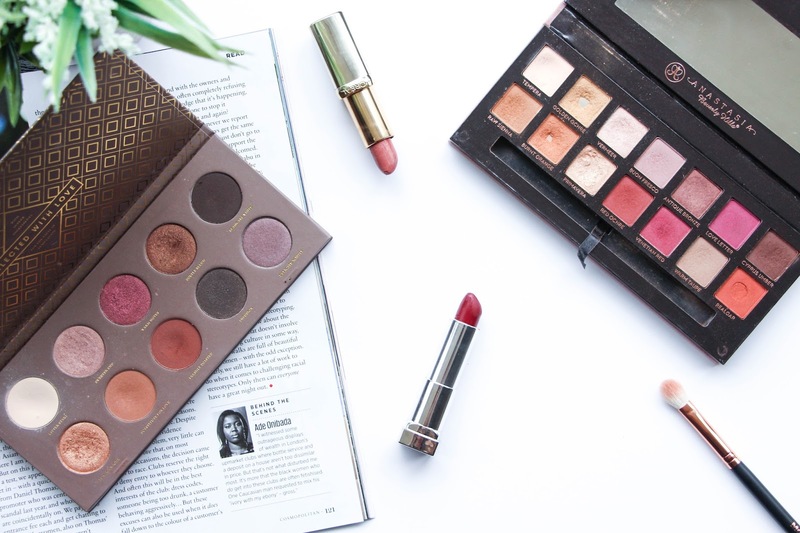 For that, the Zoeva Cocoa Blend Palette (£18) is my favourite. I kow that last year this was my go-to palette and I now it will continue to be specially whilst traveling. It is compact and has the right amout of eye shadows for many different looks. My favourite day look using this palette this one, by KathleenLights. It is so pretty, very flatering and can be paired with any lip. Love it and you can read a full review on this palette here. In the other hand I have the Anastasia Beverly Hills Moden Renaissance Palette (£41). This palette was the first high end palette I have ever bought and since then things haven’t been the same. I discovered pigmentation is and the true meaning of easy to blend. There is no other palette like the one and only ABH Modern Renaissance Palette and I am always glad when I remember that this isn’t a limited edition palette, for a change. Slightly more on the matte side of things, it certainly didn’t disappoint me. I have not had this eyeshadow palette for a very long time and I have already hit pan on some of he shadows so I know I will be definitely repurchasing this little one. Click here for a full review on this palette. 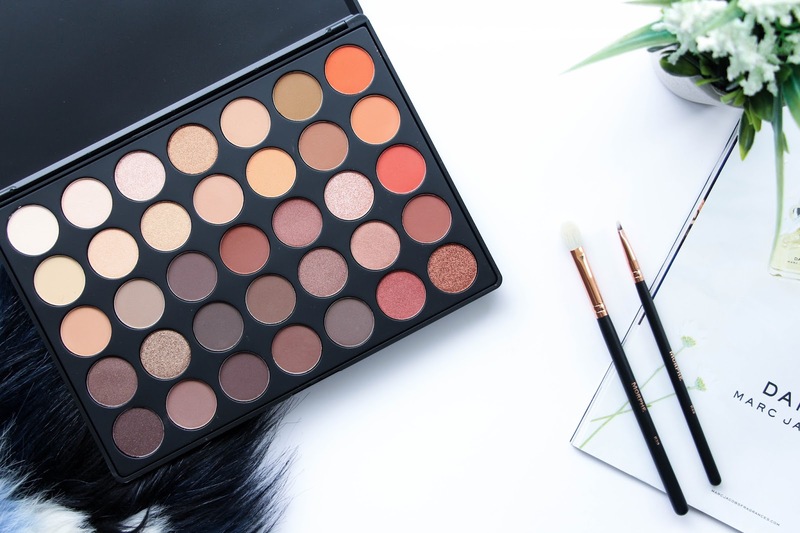 And finally, the Morphe 35O Eyeshadow Palette (£21). I don’t want to be talking about the same thing over and over again but this palette was my best October purchase. I’ve have my eye on it for so long simple because it is gorgeous, versataille and easy to get any look – from simple day time to full night out sort of glam – and this is the kind of palette I want to have when I travel. If I take this palette away with me, specially at this time of year, I know I will have a lot to options. I don’t think I need to add anything else to this one, specially after the full first impressions post I did here. These are definitely my favourite eyeshadow palettes at the moment no matter what time of year it is. All of them with a beautiful pigmentation, easy to work with and very compact to travel with. I am a big fan. 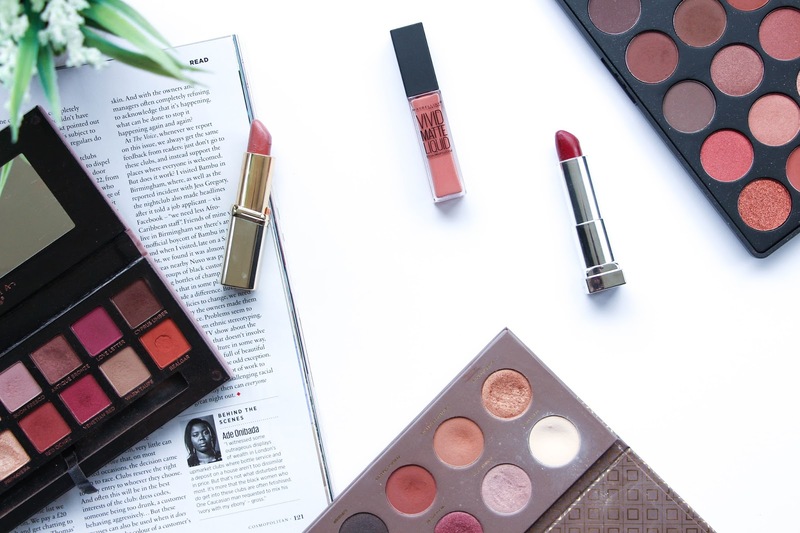 What is your go-to palette for this Autumn?